Now then, I’ll get straight into it.The cover, I must say, it is a bit bland. But that doesn’t really bother me. After all, the reason I was interested in this book in the first place was solely because it adds to the personal history of Ahsoka Tano. For me, Ahsoka is the best Star Wars character to have been created this century and furthermore, she’s (up to this point) my favourite female Star Wars character. Overall, Star Wars: Ahsoka was an entertaining read, but never quite a page-turner. I had hoped that the plot would be a thrilling galaxy-spanning adventure, covering many years of Ahsoka’s life, but unfortunately it is not; it’s pretty much equivalent to an arc on The Clone Wars (and perhaps Rebels, too, although I haven’t really been following Rebels). A new world is introduced, a crisis develops and, at the end, Ahsoka is caught in the middle of a terrible battle. The story does, however, get pretty dark at times; possibly darker than any other Star Wars story that I know. There are quite a number of deaths. There is also a rather graphic torture scene, which makes the one in A New Hope look like a friendly Sunday afternoon chat (almost). Furthermore, the ending is not what I’d call a triumphant one. But, as I said, it was entertaining and I certainly enjoyed finding out a little bit more about Ahsoka. 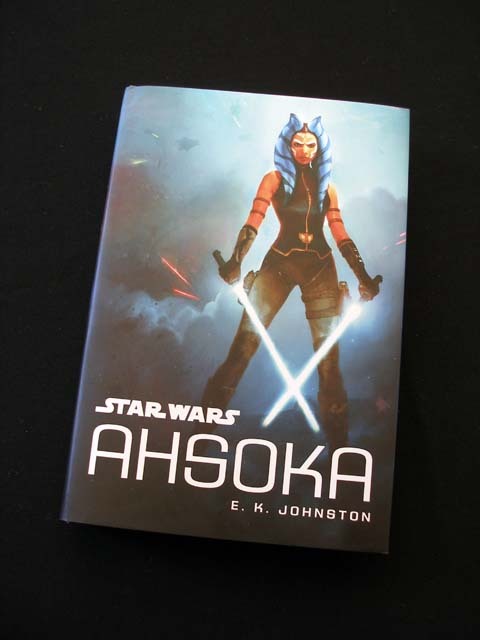 This entry was posted in Books, Impressions, Western and tagged Ahsoka Tano, E.K. Johnston, Star Wars, Star Wars: Ahsoka by maruserino. Bookmark the permalink.